There are different types of benches a home owner can get to enhance the sitting space of his home! 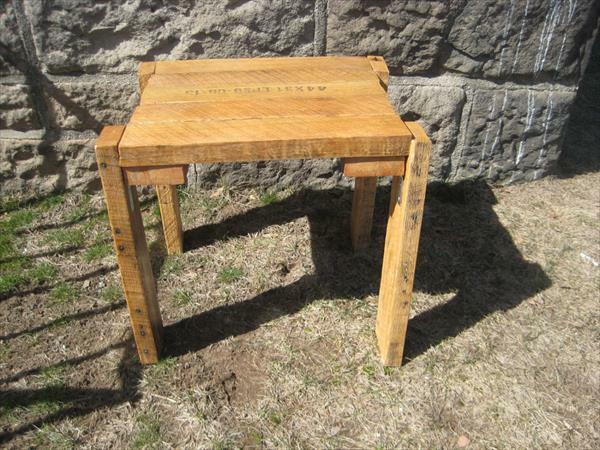 In all of bench designs the settles gain the more attention of onlookers due to its unique style! You can also gain your own custom settles for free by going with tryout your hands a little bit on pallets! 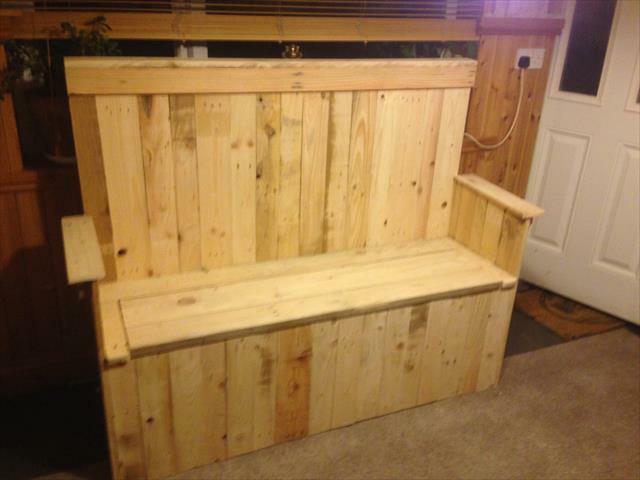 Checkout this DIY pallet wood settles having all robust wooden dimensions and comes with high backrest and also with custom armrests! From your front porch to garden to patio, it would be mind blowing addition for any time sitting and also to take a look at you outdoors, it would also be all convenient for multiple people sitting at one time! 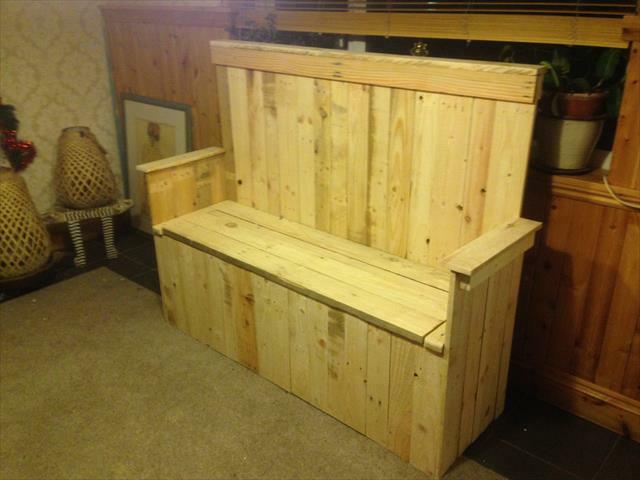 Pallet slats have again been installed flat to shape up this fancy shape of bench which can stay better at your indoor and can also be cushioned for a perfect settee out of it! The design is all inspired of a block style can be painted also to look enchanting and visually captivating as well!